Julio Pavón-Electromechanical Industrial - BECA. The BECA.org Foundation. Empowering Youth Education in Nicaragua. Hello friends and members of BECA.org! many blessing, I want to share with you my experience at BECA.org. 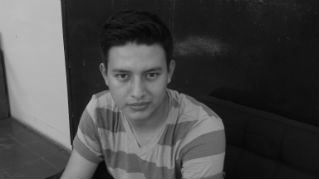 I’m Julio Pavón, one of the graduates from Intecna -Granada. Everything started four years ago, when I was studying my last year in high school at Juana María Polanco, Las Flores, Masaya. It was that BECA.org’s Coordinators visited us in order to give information how to get a scholarship to students cannot afford their studies, but who are serious about it. There are many students who cannot continue their studies because their parents cannot pay the expenses of their children in the university, and that was my case. However, BECA.org gave me that opportunity. To qualify for the scholarship, students had to be volunteers as an assistant of one teacher in elementary school for four months, and then I had to pass through computers lessons for three months. I consider BECA.org a blessing from God because only God knew how much I wanted to continue with my studies. Let me tell you, It was not that easy to qualify for the scholarship because there were already selected the students for the social project but something happened, and they got me the opportunity to participate in the social project which is called Brigada. After all that, I became the leader of the group, and that was a wonderful and funny experience; taking pictures, meeting new people, and making friendships with the teachers and students. Finally, I got the scholarship, and I decided to study electromechanical industrial in Intecna- Granada. While I was attending my studies; I participated in some activities that BECA.org organized, such as: social projects in the weekends, meetings with the students, anniversaries, and other differents kind of activities. I enjoyed a lot of the social projects because I could visit new places, people, and the BECA’s family. Also, I made friendships with the coordinators; they are very friendly with all the students. In class, I made some friendships, too. There were always jokes in our conversations with my classmates. I had many experiences in this organization that i would never imagine to have before. I’m grateful to BECA.org. Thank God, BECA, sponsors, and all members of BECA.org. Thanks BECA.org for helping Nicaraguan’s young people. I did my internship at INCASA company in Masaya. They were nice with me, but they could not give me a job because at the time the company had to downsize of some workers. I bought a soldering iron, so I started to work at home as a welder. I fixed gate, roof and other kinds of stuff. Right now, I work for Sabina S.A in Managua. I’m happy working for it because I’m learning new things related to assembly and mechanic. I encourage to the future students working hard because all the process to qualify for the scholarship it’s worth it. I wish you all the best and blessings.